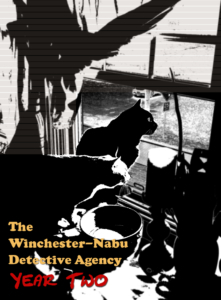 AMBER LOVE 18-MAR-2019 Catch up on Year One and previous Year Two cases at the Winchester-Nabu Detective Agency. 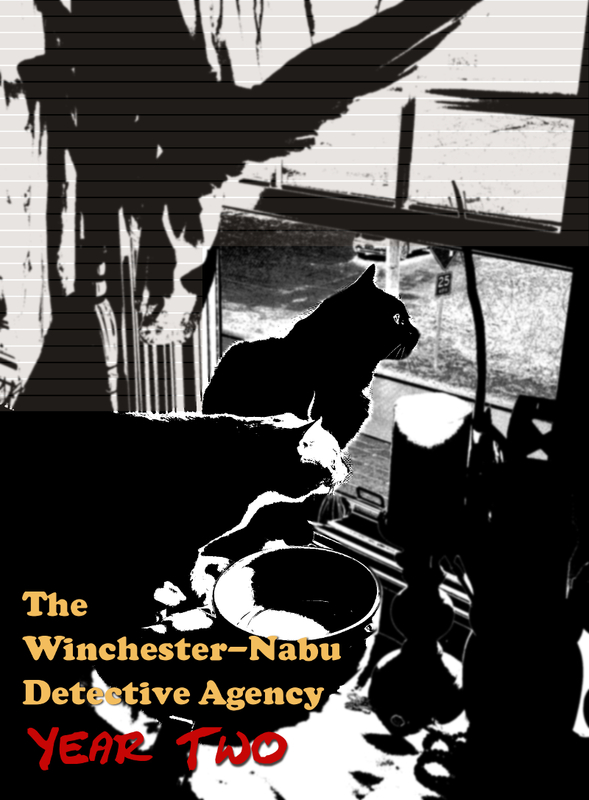 This work is supported by the generous backers who adore my cat stories at Patreon.com/amberunmasked and they also get first access to whatâs happening with my books and podcast. 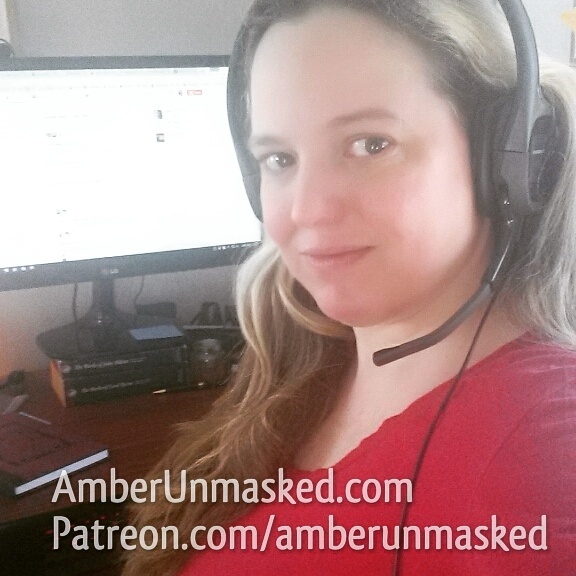 For a one-time tip, you can go to the new PayPal.me. The Leverage squirrel gang has made multiple moves to steal the bird seed bricks from the smaller maple tree. They’ve gotten so brazen that they come out in the light of day. They are quite scared of Gus and a human getting too close; however, they don’t mind if the birds feed while they’re pilfering. For over a year, we’ve documented all the adventures from our area which have included some theories that you might accept. 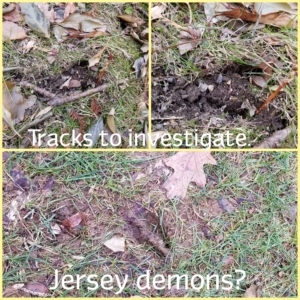 Jersey devils/demons and their devil-deer hybrid offspring come to mind. 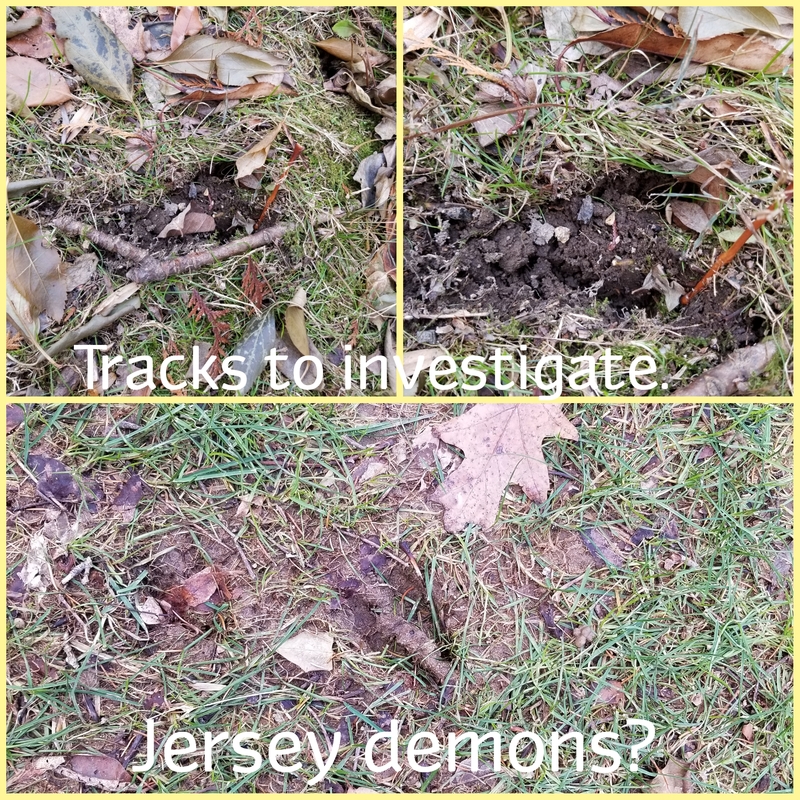 Between the tracks, bones, and other artifacts that we’ve discovered, we still think the devil-deer are amongst us. There may be something else. Beings that depend on the shadows. They depend on never being seen. They’re silent. Recently, the butler Alfredo Pesosvalor, decided to take up the martial art of jodo. Since he also acts as Oliver’s security team lead, it seemed to make perfect sense. If Alfredo wasn’t armed with his proper jo (the long wooden dowel used by Japanese police), he could quickly improvise one from the nearby fallen branches which are everywhere. Needless to say, he’s been ordering the necessary provisions for this field of study. One of the items ordered is called “tabi,” which are socks designed to separate the toes in order to wear thonged footwear. As soon as I saw the tabi, I wondered what kind of impression on the ground they would make. Alfredo scooped them up and packed them in his bag before I could dare use them for lab experiments at the Winchester-Nabu Detective Agency. I don’t know how ninjas would feel about the popularity of tabi being commercialized for women and girls with patterns of kitty cats, flowers, and such silly things that have nothing to do with being stealth. A good ninja would not leave behind footprints. If you think about it, there are bound to be some crappy ninjas out there. They forget to turn their cell phones off. They sneeze inside their masks. And they leave footprints behind. You know the type. I’m a fan of ninjas. Good ninjas though, let’s be honest. Gus is adept at hiding anywhere whether it’s sitting a chair right in the open or hiding in the bushes where I can’t see him. However, that’s pretty much where his ninjutsu skills end. When Gus runs, he sounds like a herd of elephants stampeding through the house. He’s more of the tank type. Oliver, despite his size, can move silently. He’s excellent at prowling and leaping without making a sound. However, he hates being touched so hand-to-hand combat is not Ollie’s style with the exception of training with Gus. Other kitties have the skills of detecting and fighting invisible ninjas! This brings me back to my theory about ninjas walking through the yard. Is it possible that some of the tracks in the snow and mud were not cloven animals, but humans wearing tapi (maybe fleece lined for the winter)? If yes, the next question we have to ask is: what were they after? Could it be one of the artifacts? The most likely artifact would be the pottery we found which Oliver believes to have been a container housing an earth elemental. We’ve come to this conclusion based on the direction and location of the tracks. If this is the case, then maybe a ninja would only be hired to do the job. I don’t know that they would have use for an earth elemental. Now if we think about Shaolin monks of China, they would indeed be interested in elementals. Although if I really think about it, they could probably do the acquisition themselves; and they don’t wear tapi, so the tracks — if any — would be different. Oliver said there was no reason to assume that the person or organization hiring the ninja would have anything to do with martial arts. It’s more likely they wouldn’t and that’s why they hired someone else for the job. What kind of person wants the earth elemental? Now that is something we have investigate further. We can only speculate at this time, but our strongest theory is that someone or some organization without enough money to hire professional quality ninjas, hired one who was less than graceful to retrieve the earth elemental. I once tweeted with the person National Geographic called the closest thing to a real ninja, Glen Levy.